Photos with the Ice Princesses at WinterPalozza 2015. All photos are available for purchase as prints or digital downloads. You can also use the "Share" button under the large image to share the photos to your Facebook or other social media. 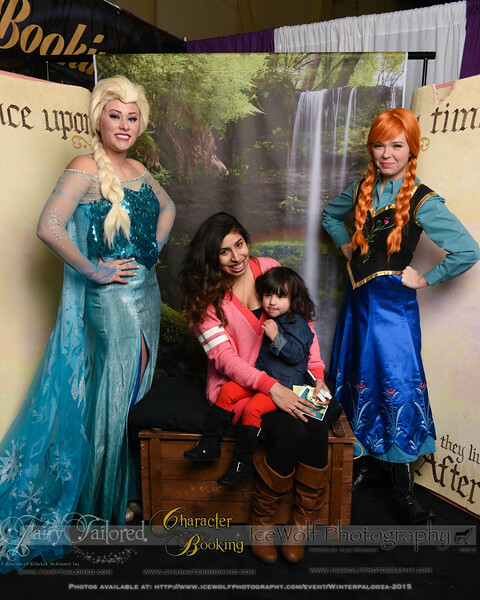 If you enjoyed meeting the Princesses, you can meet them again and even get a princess makeover if you visit us at Salt Lake Comic Con FanX. Fairy Tailored and Character Booking will also be hosting a Winter Festival in February where you can craft with a princess or have princess face painting, and more! For the most up to date information visit our websites or facebook pages!